5 1/2 to 6 inch tall vases with vertical raised ribs that create panels between them. 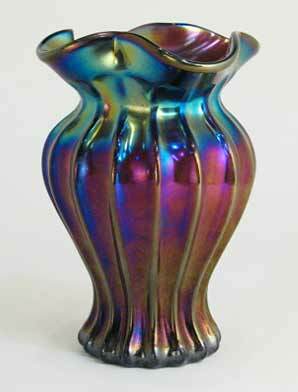 The vase is pinched in at the foot, bulbous at the center and has a pinched in neck. The top is typically ruffled and flared.